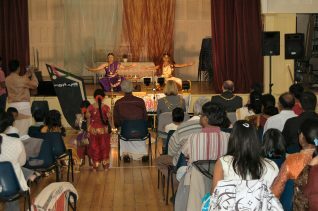 Joy and jubilation filled the air during the Onam celebrations at Knoyle Hall organized by Brighton Malayalee Association, which is a cultural organisation representing the tradition and rich heritage of Kerala, a state in Southern India. 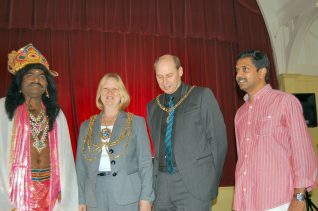 We were very happy to welcome The Mayor of Brighton and Hove, Councillor Anne Meadows, and her Consort Tony Meadows, who inaugurated the day long celebrations. Arrival of the King Maveli accompanied by thunderous “panchavadhyam” kicked off the cultural programmes. 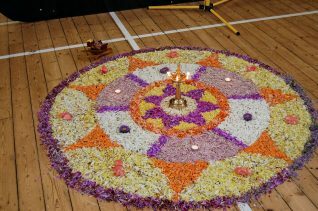 With much fervour, the celebrations saw a glimpse of Kerala with the vivid exhibition of culture, music and tradition. Pulikali, Thiruvathirakali and other traditional dance and cultural programmes evoked nostalgic memories of Kerala. The scrumptious Onam feast in banana leaves was delicious. The traditional sports events followed and everybody enthusiastically participated in events like ‘Lemon and spoon” race and other traditional games. 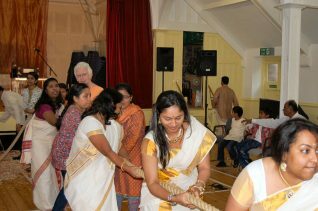 The Tug of War was the most popular event of all. A very happy day was had by all.